J.E.T. 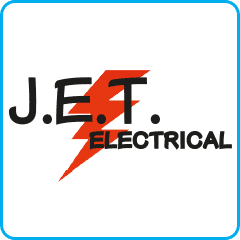 Electrical carry out all domestic and commercial electrical work, from a new light in a house to a garage re-wire. There is no job too big or too small. We provide a friendly service with free quotation and a 24 hour service 7 days a week. We are Stroma Part P Certified to allow for your electrical safety. We provide an electrician service to all of the Humberside area including Scunthorpe, Grimsby, Barton Humber, Brigg, Market Rasen, Doncaster and all surrounding areas.